Singapore is one of the world’s leading aerospace hubs, and the largest in the region. In the last two decades, Singapore’s aerospace engineering industry has expanded at an average rate of 10%. The industry is at the precipice of rapid growth. The demand for air travel in the Asia Pacific continues to increase, thus creating numerous opportunities for aerospace manufacturers, Maintenance and Overhaul (MRO) providers, research and development (R&D) players, as well as general aviation and aerospace companies, among others. 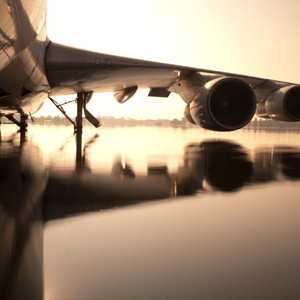 In spite of the current volatility of global markets, the outlook for the aerospace industry remains positive. In Asia, air traffic and aircraft fleet size are expected to increase, bolstered by rising demand from regional economies such as China, India, and ASEAN countries. Globally, the aerospace industry is also poised for expansion. According to the Singapore Economic Development Board (EDB), global fleet size is projected to double over the next two decades. More notably, one third of all worldwide aircraft deliveries will go to Asia in a span of 20 years, according to aircraft manufacturers Boeing and Airbus. As such, by 2031, the size of Asia Pacific’s fleet is anticipated to triple to approximately 13,500 aircrafts. Singapore is well-placed to meet the rising local and regional demand for aviation-related services. With its thriving ecosystem of aerospace and aviation companies, Singapore offers a competitive, efficient and comprehensive cluster of capabilities. To date, there are over 100 aerospace companies in Singapore, employing over 19,900 people. In the past year, the Singapore aerospace industry achieved a record-breaking output of S$8.7 billion. Moreover, Singapore is the most comprehensive aerospace Maintenance Repair and Overhaul (MRO) hub in Asia, contributing to 25% of the region’s total MRO output. In addition to MRO firms, numerous aerospace design and manufacturing operations have set up base here, leveraging on Singapore’s extensive capabilities in precision engineering and electronics to support the production of complex aero-engine components. Additionally, Singapore is home to the globally acclaimed Changi International Airport, which currently has over 350 awards under its belt and is widely considered as one of the world’s best airports. Singapore Airshow, launched in February 2008, further cemented Singapore’s positioning as a leading aerospace epicentre. The show, which is by far the largest event of its kind in Asia, provides a venue for aerospace industry players to connect, network, do business, share knowledge, and exchange ideas to further the industry’s growth. In 2012 alone, more than US$31 billion worth of deals were inked during Singapore Airshow. The event attracts approximately 45,000 trade visitors from 128 countries. Spanning over 300 ha, the park provides world-class aerospace facilities equipped with excellent business infrastructure and complete runway access, among others. More importantly, the park provides companies with access to invaluable synergies resulting from cluster integration. Since its launch, a number of multinational corporations (MNCs) have opened facilities in this innovative park, including Rolls-Royce, Cessna Aircraft, Bell Helicopter, Hawker Pacific, and Fokker Services Asia, to name a few. Currently, over 80% of the 83 ha of land in Phase 1 and 2 have been occupied. Phase 3 is still under development, targeting completion by 2014. In conclusion, Singapore’s aerospace engineering industry maintains positive long-term prospects, regardless of the global economic climate. The industry is experiencing a surge in growth, both in a domestic and global scale. In Asia, in particular, the growth is more pronounced, as air traffic and aircraft fleet size continue to expand at a rapid rate. For entrepreneurs and investors seeking a slice of this robust pie, there are major growth opportunities in Singapore, particularly in the areas of design and manufacturing of aircraft systems and components, regional aerospace training, and business aviation, among others. Meanwhile, Singapore continues to invest in strengthening its capabilities, manpower resources and infrastructure to reinforce its position as Asia’s aerospace hub. Ready to start an aerospace business in Singapore?